These photographs are of elderly men from the rural parts of the country. 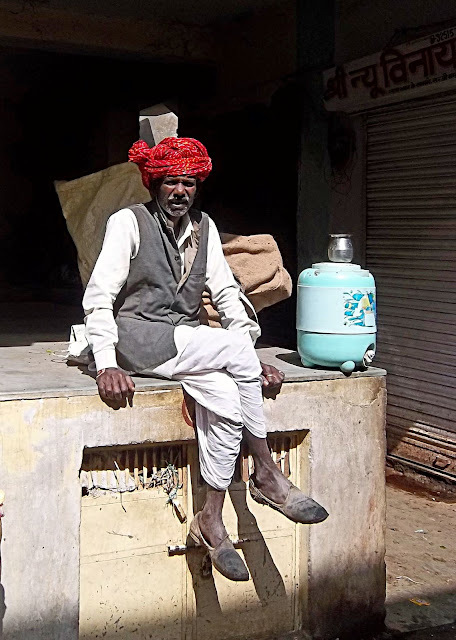 The first photograph is that of a man from Rajasthan. 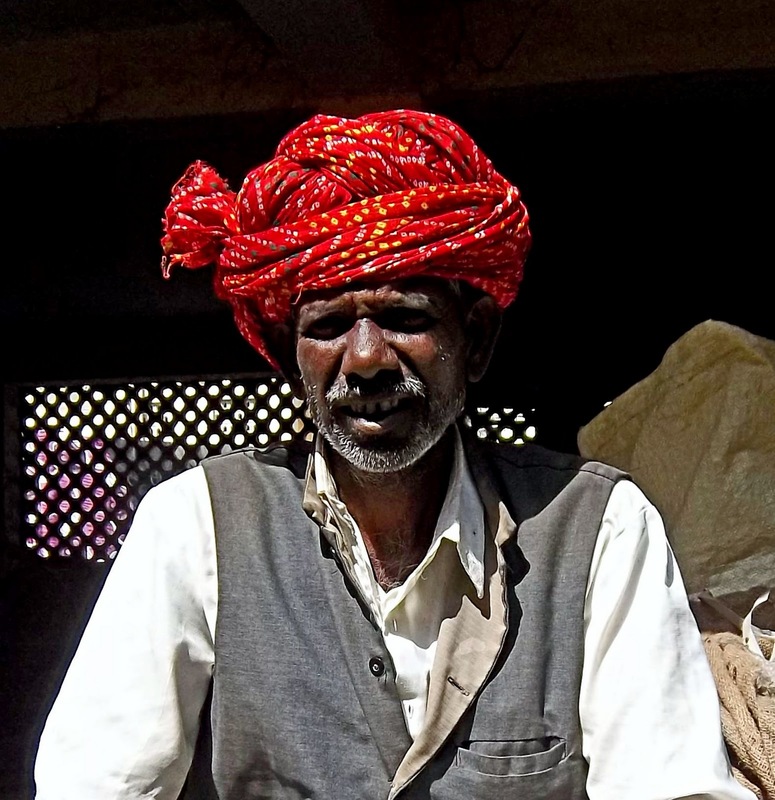 He dresses differently from his southern counterpart with a brightly coloured headgear or pagdi and a light coat to protect him from the cold. However his attire remains light and white, typical colours used by men in hot tropical countries. Here he is sunning himself as there is a chill in the air. A close portrait of the Rajasthani man who is a little bemused at the camera. 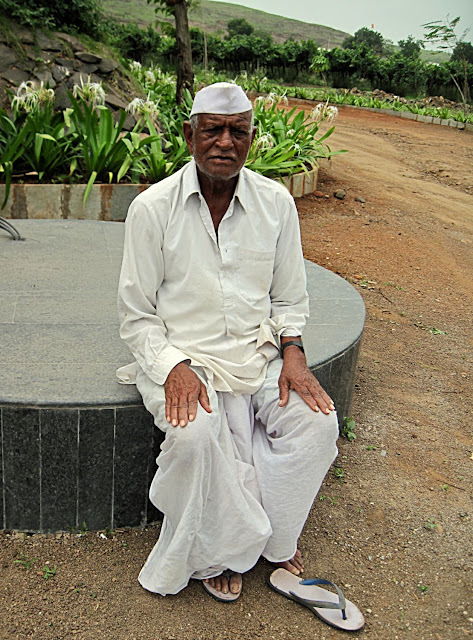 This is a farmer from Maharashtra and this photograph was taken in a village on the outskirts of Nasik. 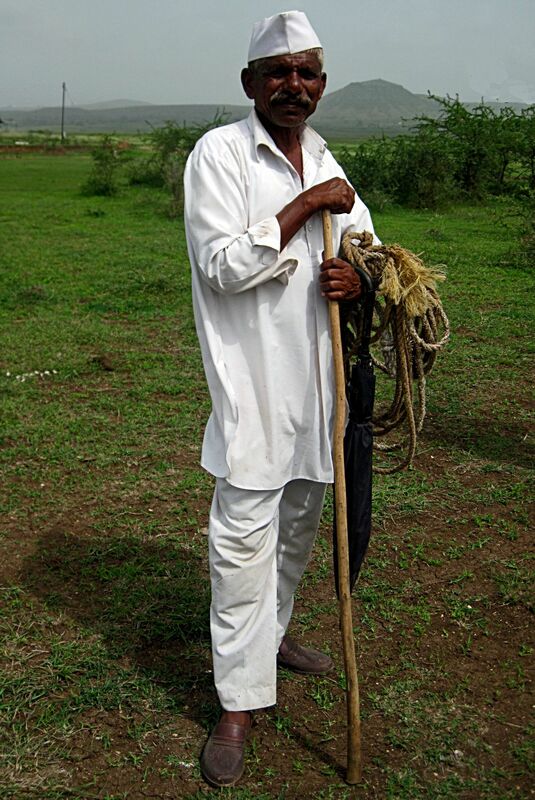 He holds a stick and rope to herd and manage cattle and umbrella to protect him from the rain. Another Maharashtrian farmer. Stoic and expressionless.